The Crafty vaporizer is another product from Storz and Bickel, who have been most famously known for producing the Volcano. The home desktop vaporizer that revolutionized the market in 2000 and is still regarded as a measure of standard for quality vaporizers. 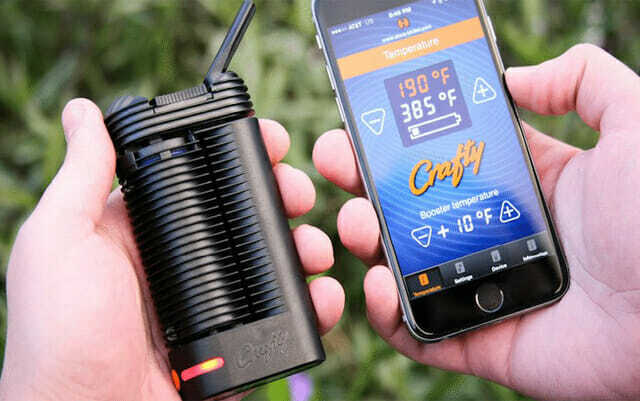 This Crafty however, is much different from the Volcano and is a portable vaporizer with an array of new features loaded in to it to keep with the new competition, at least until Storz and Bickel come up with a new version. Let’s start with the first thoughts that enter your mind when you lay eyes on the Crafty vaporizer. We saw Storz and Bickel gain fame through their Volcano vaporizer which was an absolute beast, something that you could keep next to your stylish coffee maker in the kitchen with it glaring shape and metal body. It is natural to expect another metal product from the same company but the first thing that comes to your mind as you unbox the vaporizer is, plastic? Come on. 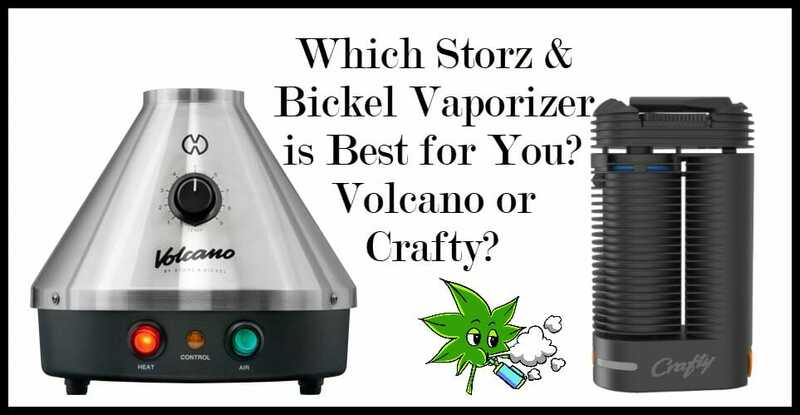 It’s an odd looking object for those who are not at all familiar with Storz and Bickel products and it certainly does not offer much in the way of aesthetic appeal but that’s the thing about this and all other vaporizers from Storz and Bickel. They don’t really care about pleasing the eye, they focus more on function and then suiting the form to the function to create something odd that becomes hard to resist. The Crafty vaporizer falls nothing short of that same idea. It is all black with the battery and the heating oven covered in separate cylindrical housings. The cylindrical housings also have fins spiraling all over them like the ones you find on the Mighty as well. These are there to maintain the temperature of the device and to keep it cool as well. Additionally, the fins or gratings also help give a better grip in your hand. How Big Is The Crafty Vaporizer? The good thing that you will notice straightway when you look at the Crafty, you will see that the size is relatively smaller than the Mighty vaporizer and much smaller than the Volcano. 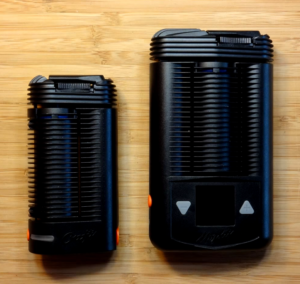 I’m using these two models as a reference and not the vaporizers from other competing companies because when you buy something from a specific company like Storz and Bickel. You might already have an image or perception about their product design and language. This manufacturer is known for its outwardly bold products in a market full of manufacturers trying to make their devices more elegant and stylish to keep up with the fashionable trends. Also, if you have looked at the Mighty, it was described as a portable vaporizer as well but it hardly seemed portable with its enormous batteries and large size. 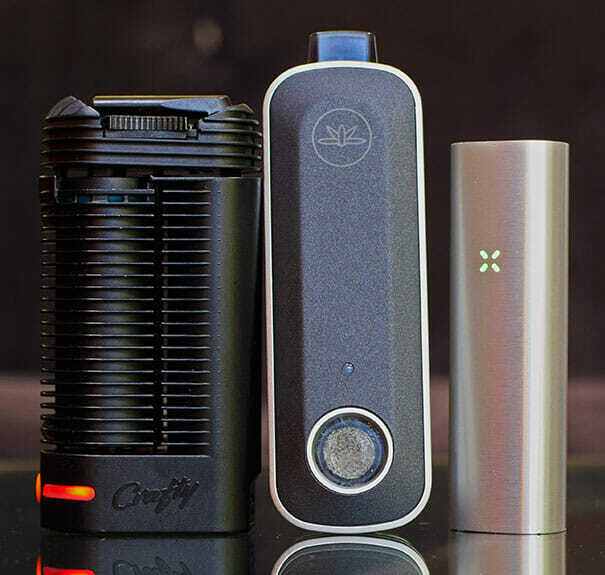 The Crafty however, has toned down the size and while it is not slim like the Pax 3 or Firefly or some of the other vaporizers out there, it is small enough to be carried in your hand comfortably and put in your bag or pocket. Another expectation that most users will have from Storz and Bickel and the Crafty, of course, is about the build quality. Plastic is considered to be cheap and not durable in most cases like phones and other gadgets. But rest assured, this unit is made from high-grade plastic which is tough and seems very durable. There’s this feeling of having a power tool in your hand when you hold it and you somehow know that even if it might not look like much it’s still deadly and will do the job. We will talk about how well it does its job in the next section of course. The only thing I did not like about the device was, or rather, one of the things that shipped with the device. That the tool that comes with the Crafty to stir and settle your herbs in the oven is made out of plastic too. Somehow the idea of having something plastic be in contact with the heating oven or something that you are going to be inhaling does not sit very well with me. Although, Storz and Bickel have made sure that the plastic they used is perfectly safe. It’s just that a metal tool would have been a nicer touch. Let’s start with the battery first in this section before we go over other types of functioning since a lot of people have been asking me how the battery life on this product is. The thing is that the Mighty came out at the same time and even though it was criticized as a portable vaporizer. It was praised even more for its battery timings. Which crushed every other portable vaporizer at that time. To begin with, the battery on the Craft failed to impress me. As simple as that. Had the Crafty’s battery life been any lower I would have felt deceived? I would have overlooked any other good aspects about the device because for me it would have become unusable. The battery life lasts for an average of 45 minutes on a full charge, which for me is at the complete borderline. If it had been lesser, I would have handed it over to the category of being redundant because the average battery life of other competing vaporizers is around 60 minutes. To top it off, there is this auto shut off feature on the Crafty that is supposedly there to conserve battery power. It is really nothing more than a nuisance since the battery timing is already borderline horrible. Here’s how the feature works. You turn on your Crafty for a session and use it after it has reached the desired temperature and then set the device down in the middle of a session. If you don’t use it again in the next minute or so, the device will turn off automatically. The time taken to shut off now has been updated so I am sure the Storz and Bickel realized the mistake they made and tried to correct it by increasing the time to two minutes. You can update your device’s firmware by connecting it to your laptop and this is one feature I like about the Crafty. Unlike the Mighty, the Crafty supports charging from standard USB adapters. This I feel is a huge bonus and something that trades off the negative image of the short battery life because it is much easier to charge the device as well. Now that I am done venting out my negative feelings about the Crafty. Let’s look at the brighter sides where the device shines. I found the device to be really user-friendly from the beginning. There was no hassle and it was easy to unscrew the top part to get to the oven chamber where you can load your herbs. The top part sort of just swivels when you open it and it does so very smoothly. The capacity of the herb oven is 0.3 grams as it is on most other vaporizers, depending on how finely you grind your herbs or tobacco. One of the nicer things I discovered while using the Crafty was that filling the oven chamber is really easy with the tool that they have provided. Surprisingly you do not have to make a super ground mixture to load into the chamber so that you can get a decent flavor and vapor. The Crafty was able to work decently with all types of mixtures and never did even one speck of the mixture go in the wrong place while loading it in the oven with the tool. This is one area where Storz and Bickel got it right without any doubt. So you have packed your herbs in the oven and screwed the top back on gracefully. You press the power button which is the only button on the vaporizer so that the device can start heating up. Now you have to wait a minute and a half for the Crafty to reach the desired temperature that you set. I consider this to be a long wait time but I would not complain that much about it since I have also used the Mighty and it sort of ruins your habits. But I still think that the time is a tad bit longer than expected from a quick efficient device. There are only two temperature settings on the device so if you want to tweak them and personalize them you will have to download and use the app because all other functions can only be used through the app. I didn’t find the app to be annoying because I like controlling things with my phone. I know that some people will not like it because it seems easier to have buttons for the basic functions on the respective device. The app, however, does what a LED display on the device should do. It shows the actual temperature of the device and it shows the battery level. 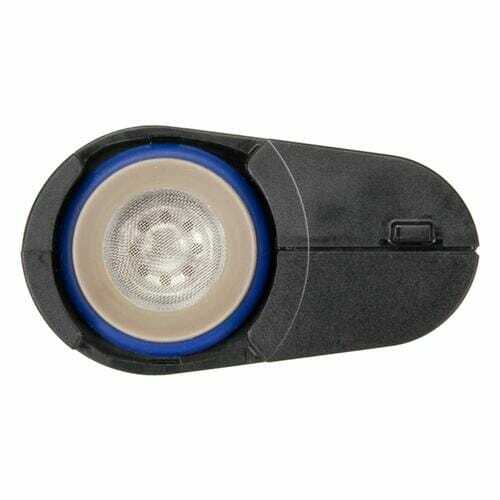 Additionally, you can also adjust the brightness of the LED lights on the device itself. This finally brings us to the end result of all these shenanigans which is, the vapor quality. In this regard, the Storz and Bickel product lives up to it reputations and delivers excellent vapor quality. It sometimes even seems illogical that a device like the Crafty with so many flaws and different directions in design will be able to give such a satisfying experience. It just shuts you up along with all your apprehensions. There is no hint of any sort of plastic taste in the vapor and the vapor itself is smooth and cool and dense enough to be satisfying. The draws are similar, you don’t feel the mouthpiece burning your lips and you do not have to draw hard to get the vapor. However, you will have to take long deep draws to decrease the temperature of the device’s heating chamber because the Crafty detects a drop in the temperature and then decides if someone is vaping from it or not. 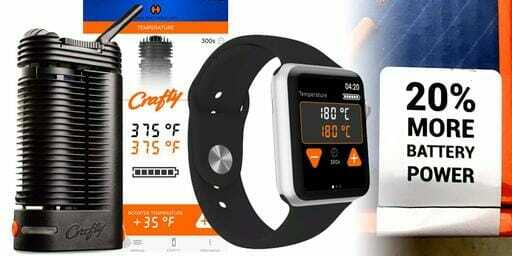 If there is not a large drop in temperature that the Crafty doesn’t recognize, it will shut off the device in the previously mentioned time. While I agree that the Crafty is amongst the easiest of vaporizers to use, it does disappoint me with battery life so I would suggest that you think long and hard about the trade-off before you buy it and then stick to the decision so that you don’t regret it. If you are one of those people who charge their phones and laptops whenever you get the chance then this vaporizer might be perfect with you because it’s easy to charge anywhere, even in a car. 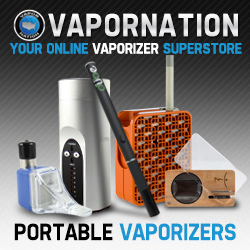 However, if that’s not the case then you might be better off with a different portable vaporizer. This is the only trade-off worth mentioning that I found because everything else, the design, the vapor quality, the user-friendliness, everything was on point. Click the picture below to buy the Crafty Vaporizer!